On May 9, 2017, CNHH attended Global Impact Soirée, an event highlighting Canadian contributions to international aid. Tyler Owens and Julia van Drie helped research a film discussing Canada’s history of international aid. It took the work of six CNHH members to identify events, while research assistants Tyler and Julia documented them. The CNHH also helped rejuvenate the slide show of CIDA highlighted at the evening. “25 years of excellence in International Photography,” was brought back online at the CNHH’s request, and is now hosted by the MacOdrum Library at Carleton University.To see the photos, check out the CIDA photo library collection here. 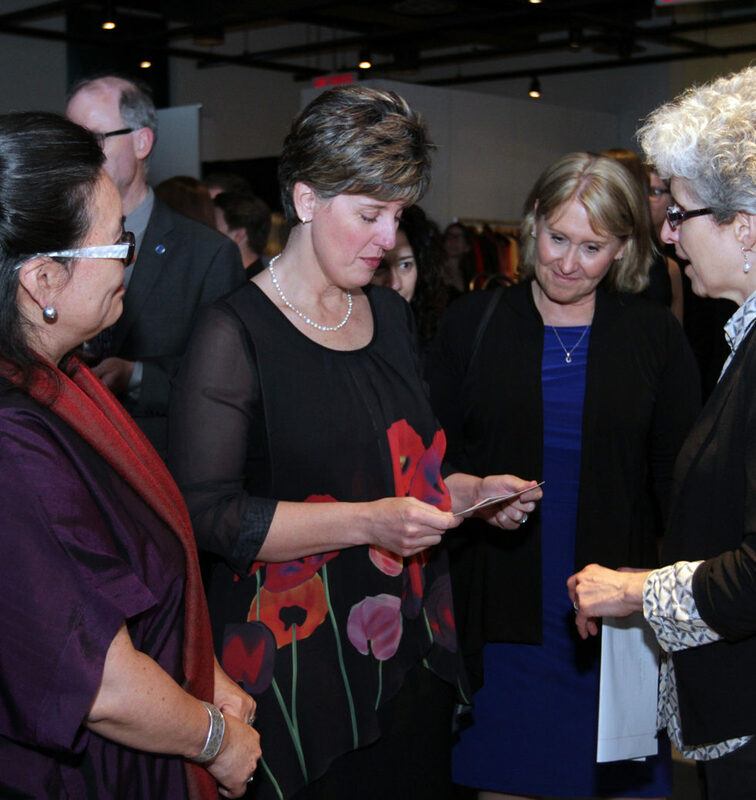 At the event, the Honourable Marie-Claude Bibeau announced Global Affairs Canada would offer $100 million in funding for small and medium-sized Canadian organizations. The announcement was received with thundering applause from NGOs, government officials and academia in attendance at the Canadian Council for International Co-operation (CCIC) social event. Marie-Claude Bibeau speaking with Dr. Marshall at the CNHH table. Bibeau’s address listed achievements on behalf of Canadian development NGOs. She says they helped create food security, fought for the rights of women and girls, resettled refugees, and worked with the Haitian people following its earthquake in 2010. “I don’t think it’s an exaggeration to say that you represent what is heroic and altruistic in the Canadian spirit,” she said. The funding is spread over a five-year period, to support innovative programs related to government priorities, such as the empowerment of women and girls. These will be for NGOs reporting less than $2 million in overseas expenditures. Most of the money, $94 million, will go towards programming, while the other $6 million will be for capacity and knowledge-building of the community. Fifteen important Canadian international contributions were also recognized during the evening’s presentation. The video outlining the contributions included the United Nations’ Declaration on the Rights of Indigenous Peoples, the development of a Canadian vaccine to combat Ebola and the fight for debt-relief in developing countries. 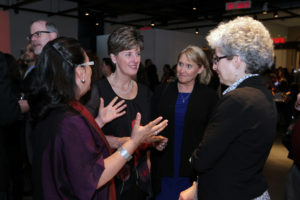 The event offered many networking opportunities for NGOs, government, industry and academia, including the CNHH. We had our own booth set up to create interest in our virtual exhibition project on humanitarian photography and refugees abroad. Research Assistant Sandrine Murray is a fourth-year journalism and history undergraduate student at Carleton University. Her research interests include the military history of the Second World War and depictions of history through a lens of the press.